This Executive Skills workshop is ideal for anyone who would like to gain a strong grasp and improve their Executive Skills. The duration of this Executive Skills workshop is 1 full day. Knowles Training Institute will also be able to contextualised this workshop according to different durations; 2 full days, 1 day, half day, 90 minutes and 60 minutes. Incorporate executive skills in key decision making processes in the organization. Apply executive skills at the workplace to improve leadership and management skills for executives. Adopt digitization strategies that enhance uptake of computer technology by managers. Acquire knowledge to develop effective communication skills for corporate executives. Develop a team of strategic thinkers who exhibit effective executive skills in companies. Gain insight in to increasing employee motivation and productivity at the workplace through effective use of human resource management executive skills. Apply executive skills acquired to evolve into multi-talented top management executives. Improve business writing and numeracy skills in business processes and business plans. The training will help corporate professionals to develop multitasking skills at jobs. Develop effective stress management strategies to help corporate professionals to effectively deal with personal and workplace stress. Apply executive decision making skills to deliver better corporate social responsibility activities. Incorporate analytical and critical thinking skills in corporate business to improve business processes. Understand the meaning and significance of executive skills for top corporate management. Appreciate the role of leadership and management skills as critical executive skills for corporate professionals. Understand the significance of technical knowledge and tech savvy skills in growing executive skills for professionals. Learn the significance of effective communication skills for corporate executives. Understand the role of change management skill in managing organizational changes. Appreciate Integrity as a critical executive skill for corporate professionals. Understand the value of strategic thinking and strategic execution skills for executives. Appreciate the role of team leadership, team building and relationship building skills for corporate executives. Understand the value of critical and analytical thinking skills in making good judgement and decisions. Know the importance of business writing and numeracy skills as part of executive skills for corporate professionals. Appreciate the importance of ability to multitask as a critical executive skill for corporate executives. Understand the significance of stress management skills in dealing with stress in the corporate workplace. 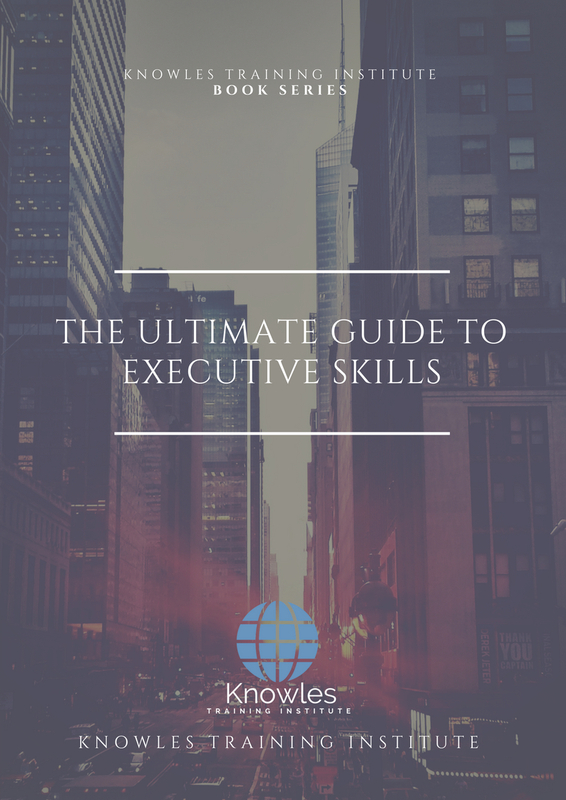 What is the meaning of executive skills and what are some examples of executive skills for corporate professionals? What is the importance of executive skills for top corporate management? What is the role and importance of leadership and management skills as for corporate executives? Why is it important for corporate professionals to have technical knowledge and tech savvy skills in the highly digitalized corporate world? What is the meaning and importance of effective communication skills for corporate executives? Why do corporate leaders need effective change management skills in managing changes in an organization? Why is integrity a critical executive skill for corporate professionals? What is the significance of strategic thinking and execution skills for corporate executives? What are the benefits of team leadership, team and relationship building skills for corporate organizations? What value do critical and analytical thinking skills add in making good judgement and decisions? 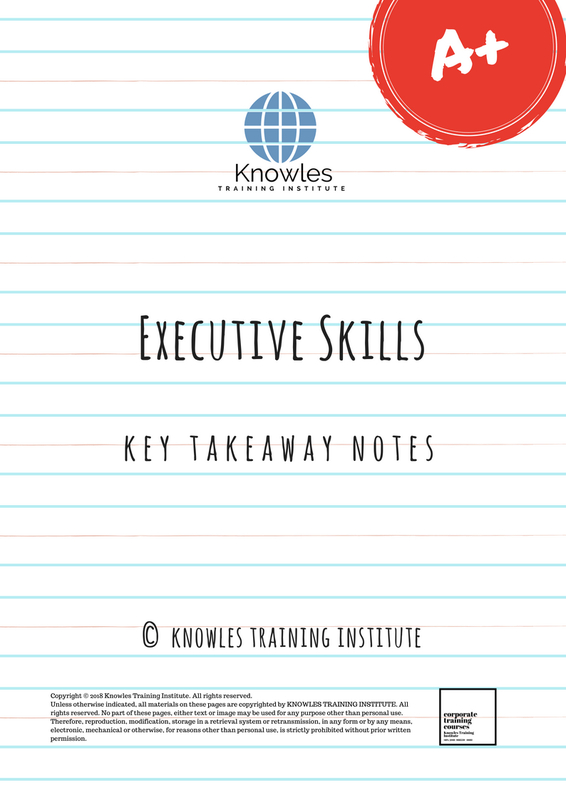 How do executives utilize business writing and numeracy skills and why are these executive skills significant in corporate business? What is multitasking and why do executives need to learn the skill of multitasking? What is stress management? Why is stress management important in corporate organizations? 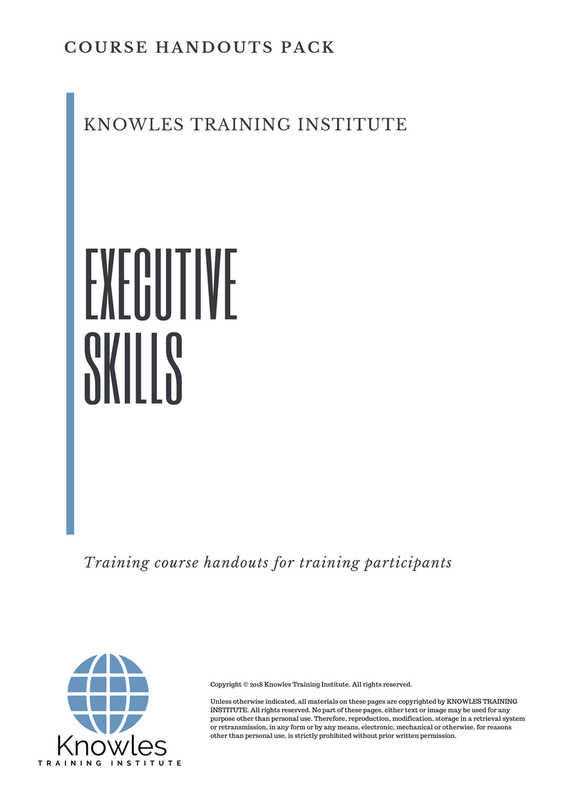 There are 3 pricing options available for this Executive Skills training course. 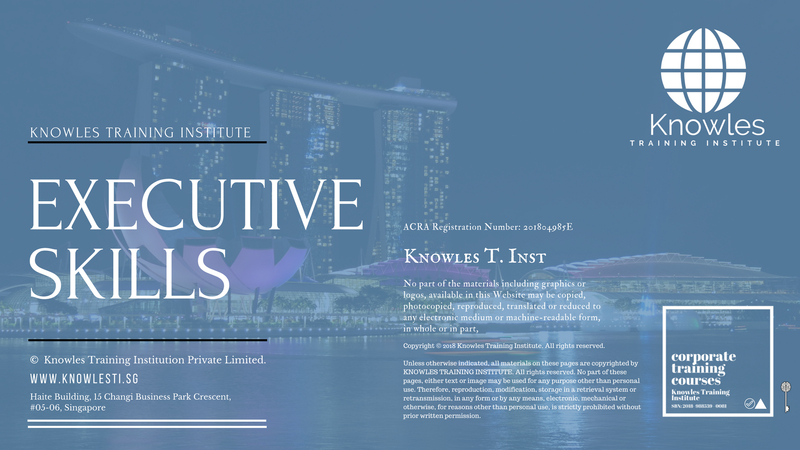 Course participants not in Singapore may choose to sign up for our online Executive Skills training course. 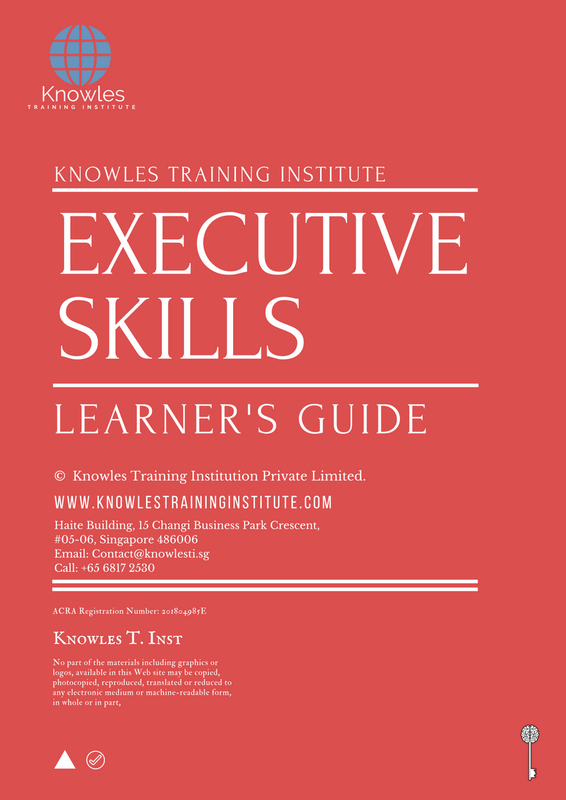 Request for this Executive Skills course brochure. Fill up the short information below and we will send it to you right away! Register For This Executive Skills Course Now! 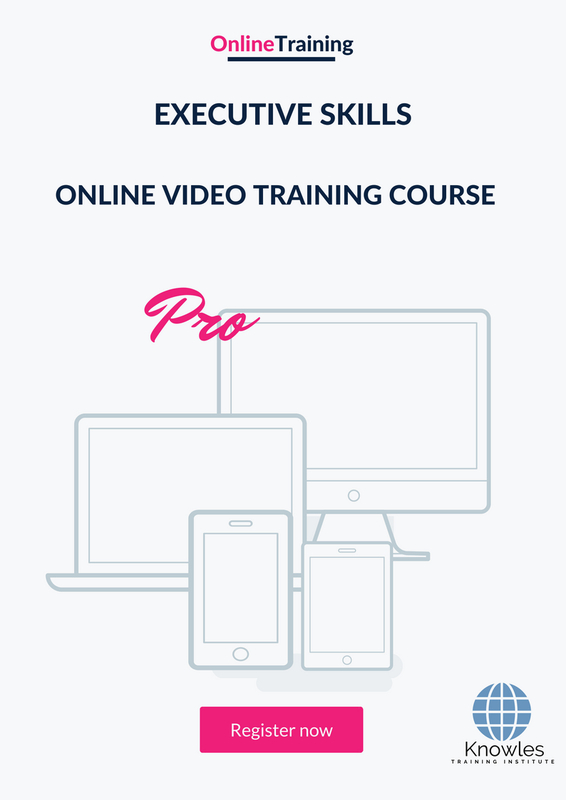 Share This Executive Skills Training Course! Executive Skills course, workshop, training, class, seminar, talk, program, programme, activity, lecture. Executive Skills courses, workshops, classes, seminars, talks, programs, programmes, activities, lectures in Singapore. Executive Skills improvement tips, Executive Skills techniques, improve Executive Skills, improve Executive Skills games, Executive Skills improvement exercises, improve Executive Skills power, how to have good Executive Skills, how to have good Executive Skills in studying, how to build up your Executive Skills, how to improve Executive Skills how to improve Executive Skills course in Singapore. Enhance, boost, build up, enlarge, heighten Executive Skills course in Singapore. Increase, intensify, raise, reinforce, strengthen Executive Skills. Upgrade, amplify, boom, elevate, exaggerate, magnify, grow, gain Executive Skills. Develop Executive Skills, multiple, power up, beef up, bolster, establish, extend Executive Skills. Invigorate, restore, step up, toughen, empower, fortify, regenerate Executive Skills. 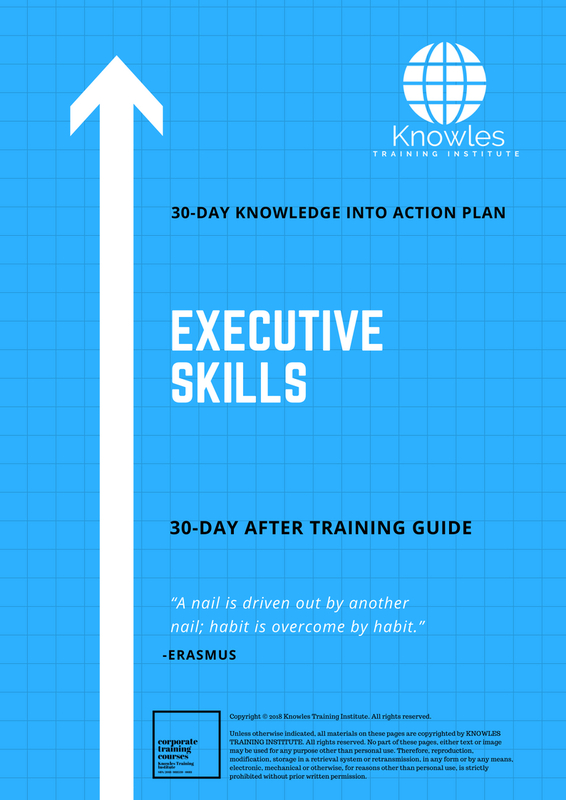 Rejuvenate, renew, escalate, expand, maximize Executive Skills. Powerful, mighty, impressive, competent, great, excellent, exceptional Executive Skills in Singapore. Superb Executive Skills. 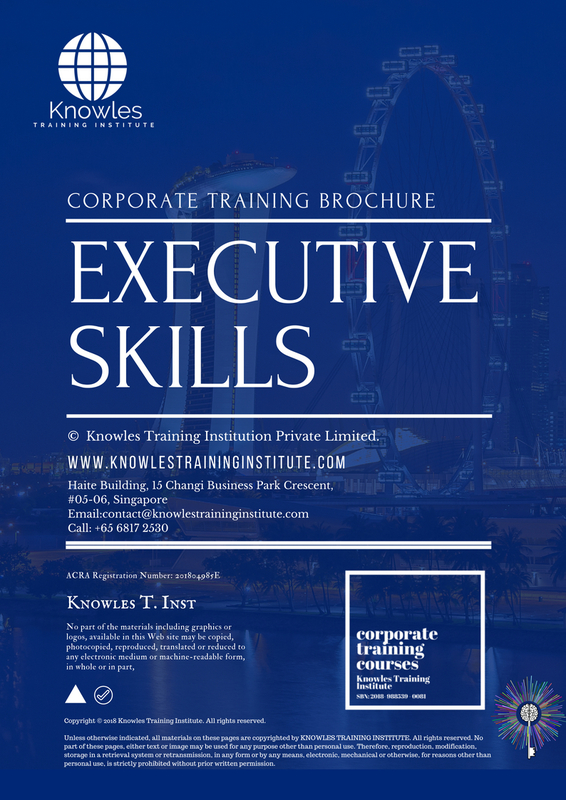 Super, superior, strong, solid, active Executive Skills training courses and workshops in Singapore. Executive Skills enhancement, booster, building up, enlargement, heightening, increment, strengthening, amplification. Executive Skills magnification, growth, development, power, empowerment, regeneration. Executive Skills rejuvenation, development, escalation, expansion. Executive Skills maximization, power training courses & workshops in Singapore.